In addition to the article in magazine, you'll find videos on the NatGeo website. The four clips might take a while to load, but you'll likely enjoy the chance to hear Nancy Tanner discuss her husband's Ivory-billed Woodpecker work in the late 1930s in Louisiana and to hear Bobby Harrison talk about his efforts. You'll also hear a recording of the ivory-bill's "kent" call. 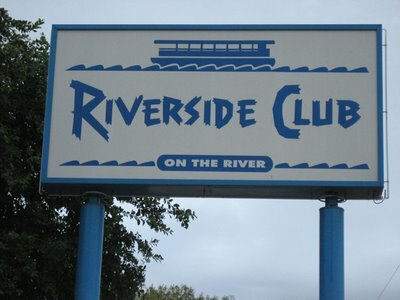 In the third video clip, Bobby mentions a kayaker from eastern Arkansas who led him and Tim Gallagher through the swamp. For the record, the kayaker's name is Gene Sparling, and you'll see a photo of him (wearing sunglasses and a short-sleeved blue shirt) during the clip. You can see another photo here. The people coordinating the ivory-billed woodpecker search at Congaree National Park were surprised that a map in the December issue of National Geographic indicates there were unconfirmed sightings of the bird there in 2006. They don't question the map's accuracy; they just wouldn't go quite that far. They stick to a strict guideline: Don't publicize potential sightings until you have incontrovertible proof. They don't have that at Congaree National Park. Not yet, at least. "There were potential encounters that occurred," said Jennifer Koches, spokeswoman for the U.S. Fish and Wildlife Service, which organized the search. "But nothing that we can claim as confirmed documentation. "We're going to have to be totally definitive before we go forward with anything. There's going to have to be photographic evidence." Do you think there has to be photographic evidence before more effort goes into the search? 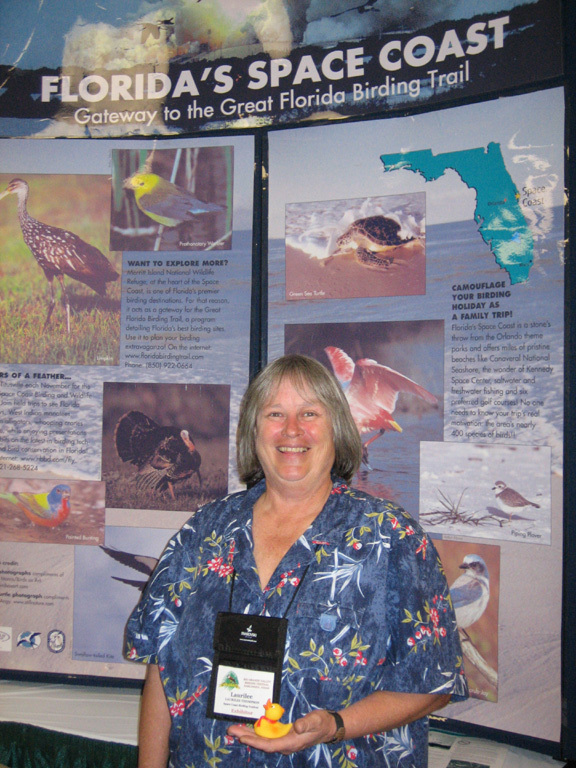 With thanks to Mary Ann, I encourage you to visit this week's birding carnival at Five Wells. Next deadline: Dec. 12, with submissions going to Duncan. The secret to hummers' hover? 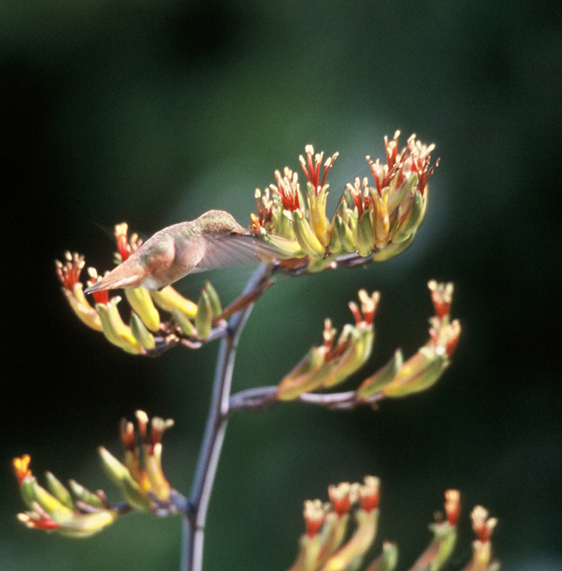 Canadian scientists might have discovered how hummingbirds remain stationary in flight. 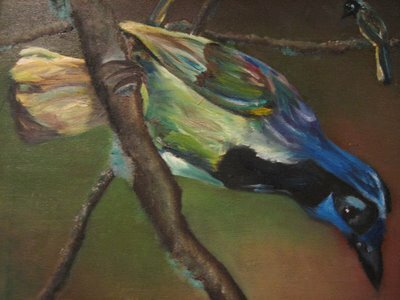 A pair of researchers from the University of Alberta have pinpointed a section of the tiny bird's brain that may be responsible for its unique ability to stay motionless midair, ending decades of guesswork by researchers fascinated by the world's smallest bird. "From a pure science perspective, it's just amazing that they can do this because they're staying perfectly stationary in space for long periods of time, despite the fact that their wings are beating at like 75 times per second, which really must be jerking them around," said Dr. Doug Wong-Wylie, who holds the Canada Research Chair in Behavioural and Systems Neuroscience and who co-wrote the study with a colleague from the University of Alberta, Dr. Andrew Iwaniuk. Dr. Wong-Wylie and Dr. Iwaniuk found that a specific nucleus -- one that detects any movement of the entire visual world -- was two to five times bigger in the hummingbird than in any other species, relative to brain size. The hummingbird's brain is about the size of a grain of rice. For more details, read the Globe and Mail article. 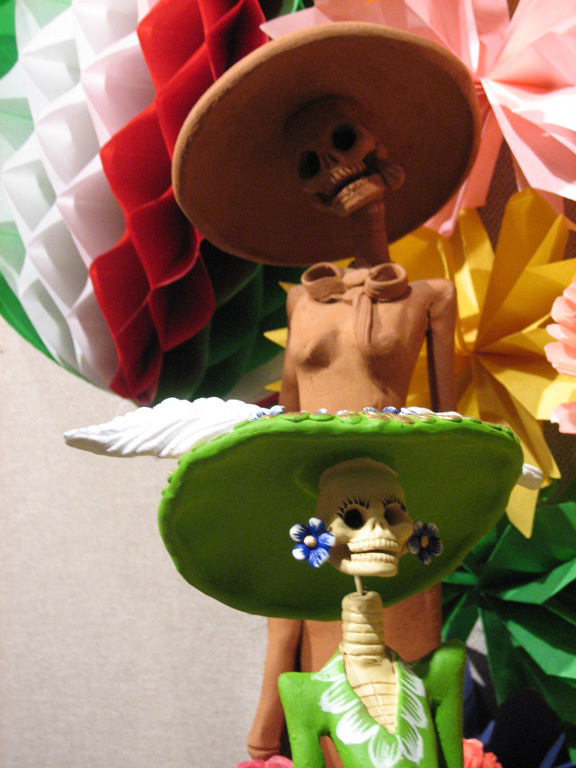 The second annual NWRA digital photo contest will accept entries until Jan. 31, 2007. Images need to showcase birds, mammals, insects, fish, other animals, people, plants or landscapes found within a national wildlife refuge. For details, click here. And consider entries for WildBird's 2007 contest! The details and entry form will appear only in the March/April and May/June issues. We offer multiple categories with prizes for first, second and third place plus a grand prize. Some winning entries from the 2005 and 2006 contests appear online, as do tips about suitable entries and guidelines for submissions. Want a new site for your CBC efforts? How about the Bahamas, specifically Abaco? 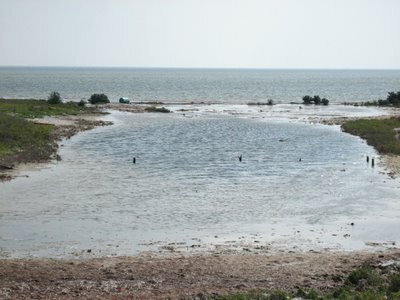 You might spot Bahama Woodstar, Bahama Yellowthroat, Bahama Swallow and Rose-throated Parrot during the 14-hour event near Abaco National Park. The third annual South Abaco CBC is scheduled for Saturday, Dec. 16, and reservations are required. For more information, contact Friends of the Environment or call 242-367-2721. Tuesday, Nov. 28: I and the Bird submissions need to arrive in Mary Ann's inbox. 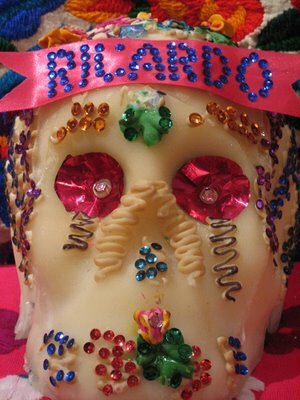 Wednesday, Nov. 29: First Friday submissions need to arrive in my inbox. Best wishes for a delightful day with family and friends! Today, while visiting the 'rents on San Juan Island, Wash., I had the December 2006 issue of Smithsonian put into my hands. Mom wanted me to see the cover article, trumpeted by this cover blurb: "Novelist Paul Theroux on living with geese, 'gushing anthropomorphism' and E.B. White's 'deficiency of observation.'" The seven-page piece reveals Theroux's observations from raising various goose species in Hawaii, his opinions of E.B. White's characterizations of animals and Theroux's disdain from anthropomorphism. He politely rails against assigning human emotions and motives to animal behavior. I liked the ranty bits but did wince a couple times. The literature of pets, or beloved animals, from My Dog Tulip to Tarka the Otter, is full of gushing anthropomorphism. The writers of nature films and wildlife documentaries are so seriously afflicted in this way they distort science. How many ant colonies have you seen on a TV screen while hearing, 'Just putting that thing on his back and toiling with his little twig and thinking, I've just go to hang on a little while longer,' speaking of the ant as though it's a Nepalese Sherpa. Possibly the creepiest animals-presented-as-humans film was March of the Penguins, a hit movie for obviously the very reason that it presented these birds as tubby Christians marooned on a barren snowfield, examples to be emulated for their family values. When a bird of prey, unidentified but probably a giant petrel, appears in the film and dives to kill a chick, the carnage is not shown nor is the bird identified. The bird is not another creature struggling to exist in a snowfield but an opportunistic mugger from the polar wastes. We are enjoined to see the penguins as good and the giant petrel as wicked. With this travesty of science people try to put a human face on the animal world." Agreed, parts of that movie annoyed me because of the anthropomorphism. I don't agree, however, with the claim that the movie remained in theaters for 23 weeks solely because of the Christian theme assigned to it by some groups. I think Theroux's off-base. It's entirely possible that moviegoers were entranced by the glimpse into the Antarctic landscape and wildlife. Your thoughts? Want to earn two recently published books? Write a 500-word fictional short story about birds, birders or birding, and send it as a Word document or as text within an e-mail before or on Nov. 29. Your story will be considered by various wordsmiths, and the winning entry will appear here on Dec. 1. To see previous winners, click on the First Friday links in the right-hand column. Two entries already arrived. Will I receive yours soon? Today's West magazine, part of the L.A. Times, included "Live Ammo," an article about the U.S. government's research into biological warfare during the 1960s in the Pacific Ocean. In the '60s, the Smithsonian sent biologists to islands in the central Pacific to study the migration patterns of seabirds. 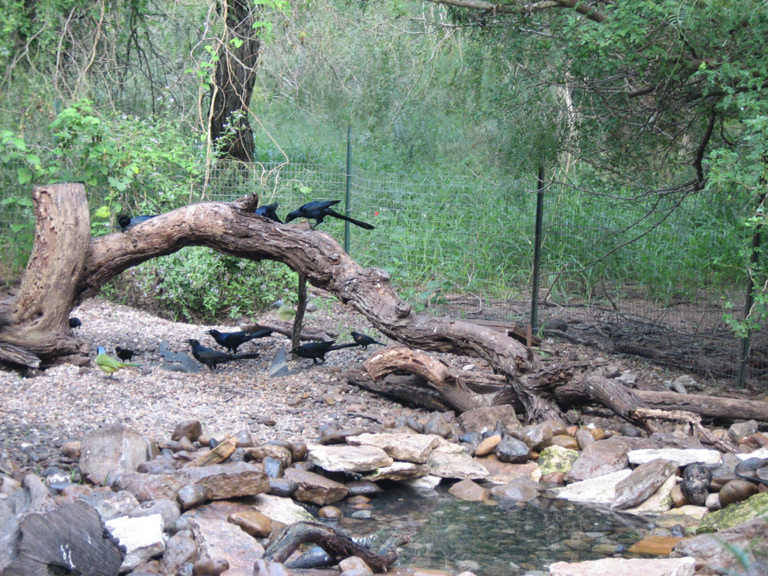 The government used their findings to determine whether the birds would carry diseases from one region to another. Amid the discussion of germ warfare, chemical testing on sailors and the vets' continuing struggle for medical care, the article included glimpses into the Smithsonian biologists' experiences. 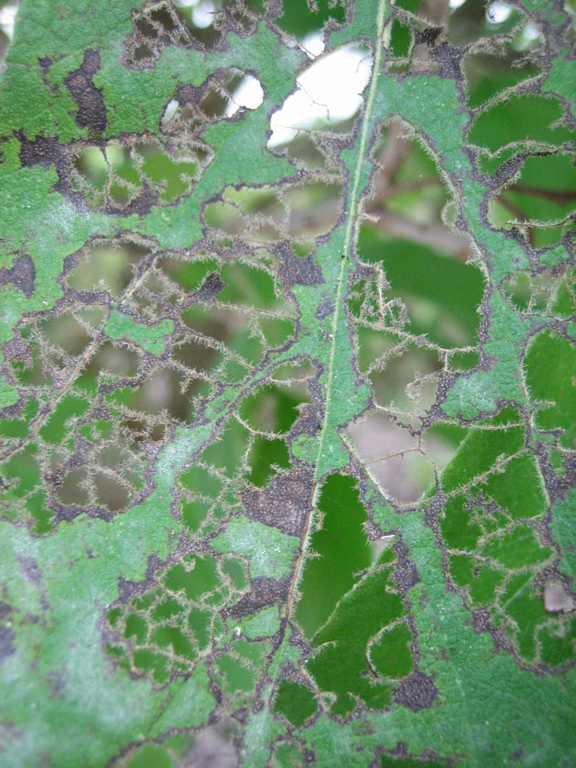 One biologist waxed poetic about the banding experience. No leg, no wing, no bird indeed. Of bands and pliers I was in need. Now that I'm banding at my best. Am I a bird bander? LOL! No doubt many other biologists have wondered the same thing. This is the first I've heard of the Pacific Project. Were you aware of it? in the International Herald Tribune. The book review discusses Andrew Blechman's Pigeons: The Fascinating Saga of the World's Most Revered and Reviled Bird. 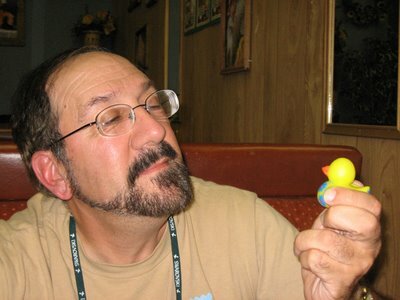 Admittedly, the bird is a hard sell, but in "Pigeons," an amiable, mildly engaging tour of the species and its fans, Andrew D. Blechman does his level best to inspire respect, perhaps even affection, for "a scruffy-looking bird with a brain the size of a lima bean." It's much more than that. Blechman starts out on a high note, invoking the hero pigeons of yore that, in the days before the telegraph, carried messages at top speed. Who delivered the results of the first Olympics in 776 B.C.? A pigeon. In wartime it was the pigeon, with its uncannily accurate homing instincts, that could be relied on to brave enemy fire and deliver secret dispatches. The greatest of them all, Cher Ami, suffered multiple gunshot wounds but pressed on and delivered the message that saved the surviving members of the Lost Battalion during World War I, a feat that won him the Croix de Guerre. Maybe I'll look at those beach scavengers even more charitably now. At Hopper Mountain National Wildlife Refuge, a California Condor chick has left its nest, making it only the second one to fledge in the wild in California in more than 14 years. "Number 412" began leaving its nest in late October, and the U.S. Fish & Wildlife Service announced the 6-month-old condor's independent status yesterday. 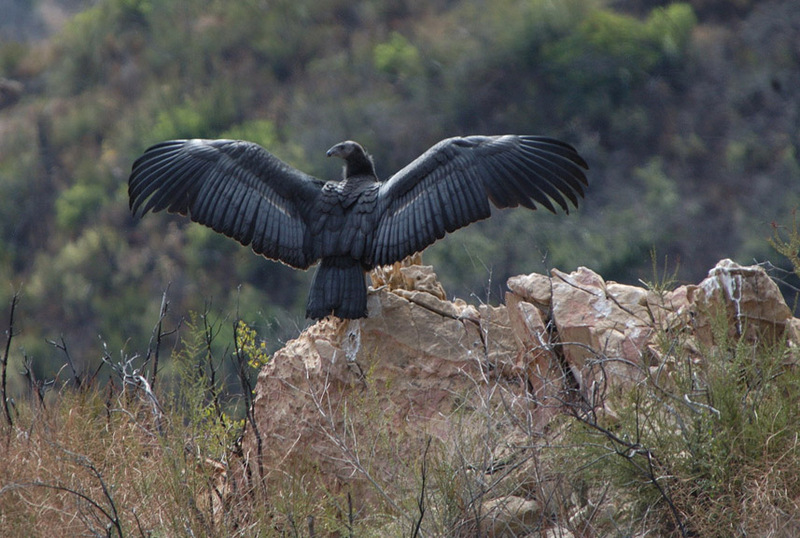 Closed to the public, Hopper Mountain NWR serves as the home of the California Condor Recovery Program. The chick hatched near the refuge in early May. 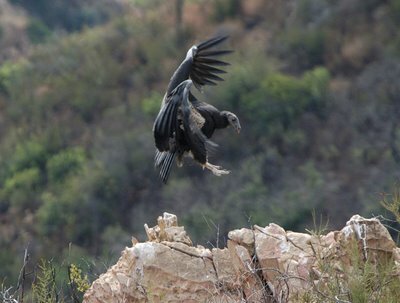 A total of seven condor chicks have fledged in the wild, five in Arizona. Bill Schmoker recently offered a couple lessons in uses of Google Earth for birding. Check out this and that post. 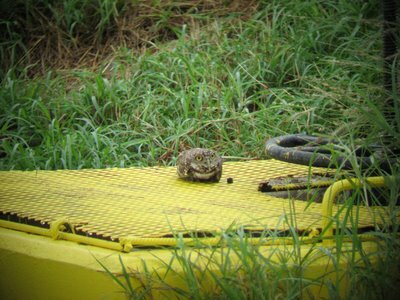 The first post describes seven situations, while the latter entry goes into detail about a Christmas Bird Count circle. Maybe you've already heard about plans for your local CBC on listservs or whatnot. 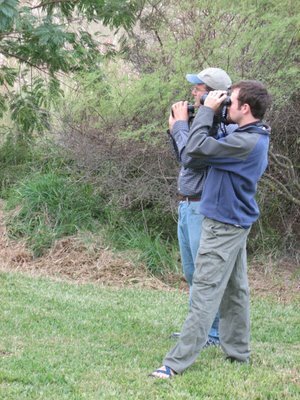 Perhaps you'd like to participate in the long-standing citizen-science census of wintering birds? 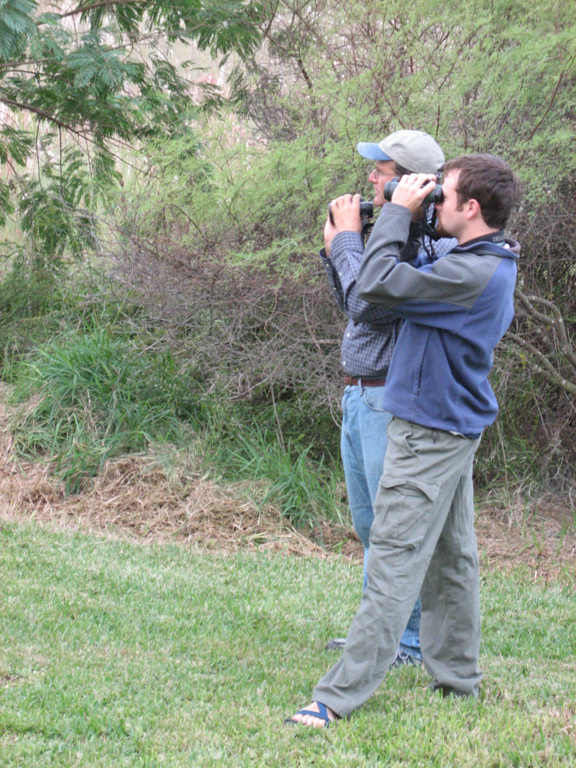 The 107th count season is Dec. 14 to Jan. 5, so check in soon with a local Audubon chapter. Thinking about next year's festivals? Have you ever attended a birding festival? 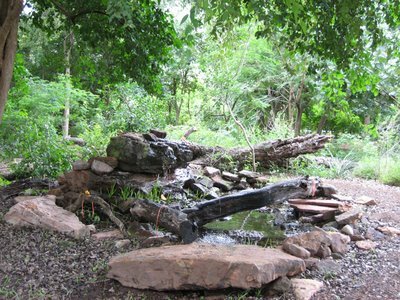 I recommend going to at least one in another part of the country, because you'll likely be able to visit sites with knowledgeable guides who can help you learn about the locations and the specialty species. 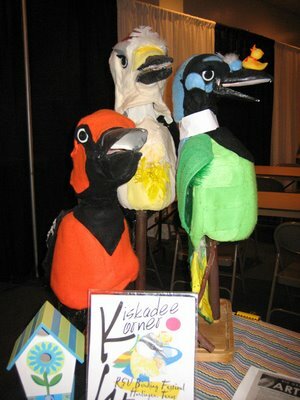 That's part of the appeal of attending the American Birding Association's annual convention. I attended my first convention in Tucson in July 2005 and joined the goings-on in Bangor in June 2006. The 2007 convention will begin April 23 in Lafayette, La., and details already appear here. I'm already perusing the field trip descriptions and looking forward to the Cajun culture. As a journalist, I like to see if the local media pick up on the influx of birders--and their disposable income--during festivals. The Brownsville Herald published articles about field trips that took place on Wednesday, Thursday, Friday and Saturday. I'm tempted to send a field guide to the newsroom so that the reporters and copy editors can double-check the species names before sending the copy to the printing press or hitting the Publish button on their computer monitors ;) And then there's the matter of double-checking the spelling of sources' names and birding jargon! 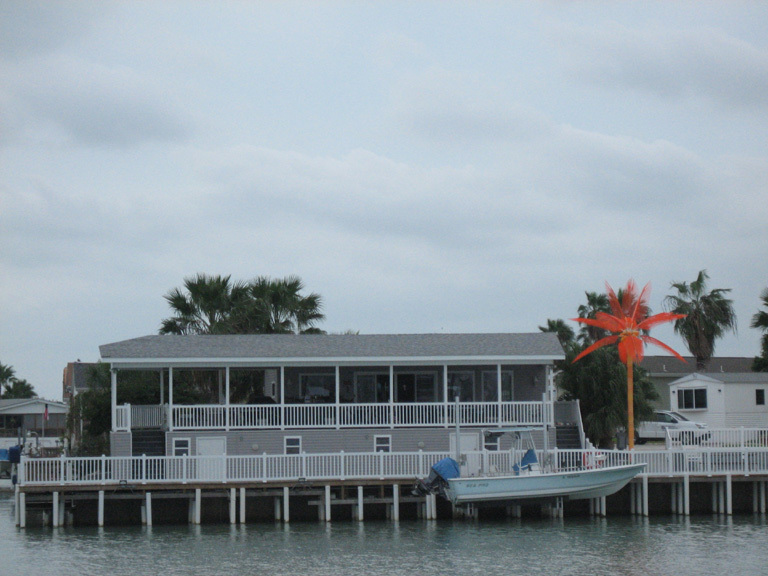 After our small group left the South Padre Island convention center and the Valley Land Fund lots, we crossed the causeway to Port Isabel and boarded a dolphin-watching boat. An armada of Brown Pelicans and Laughing Gulls surrounded the pier, while one Ruddy Turnstone briefly walked the planks. As the boat slowly motored toward the swing bridge, we spied an Osprey carrying a fish... and a Peregrine Falcon chasing the Osprey before flying behind the boat and up into the causeway's girders. A very cool sighting. Along the breakwater, we spied white-morph Reddish Egret, Sandwich Tern, Long-billed Curlew and Horned Lark. After passing through the swing bridge, we encountered Double-crested Cormorant, Black-necked Stilt, Eurasian Collared-Dove and this day-glow orange palm tree. Who thinks up these products? And who in their right mind buys them?? Luckily, we had more appetizing sights ahead of us, in the form of Great Blue Heron, Black-bellied Plover, Caspian Tern, Ring-billed Gull, Sanderling, White Ibis, lots more Osprey, Belted Kingfisher and Crested Caracara. As we got into deeper water, we encountered bottlenose dolphins (very cool!) as well as Black Skimmer, Marbled Godwit, Franklin's Gull and -- one of my favorites -- Roseate Spoonbill. The sun occasionally broke through, the fresh air felt delicious, and it was a good day to be on a boat. As we neared the beginning of the jetty, we couldn't help but see an unusual (at least to me) sight: three tugboats pulling an oil rig into the harbor. 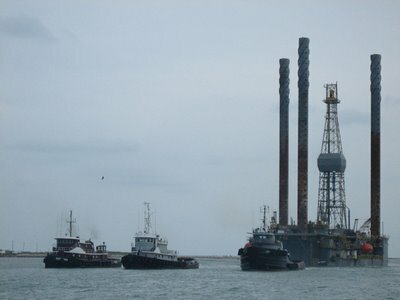 Leader Mike Hannisian mentioned that oil rigs often serve as resting spots for migrating species, a topic of some study. As our boat approached the end of the jetty and the open water, we experienced some roller-coaster waves. Woo hoo! On our return to the dock, we encountered a large pod of dolphins, with a few coming within just a few feet of the boat. After the bus returned to the auditorium in Harlingen, BirdChick and I ate lunch with Paul Baicich, tireless advocate of the Federal Migratory Bird and Conservation Stamp. 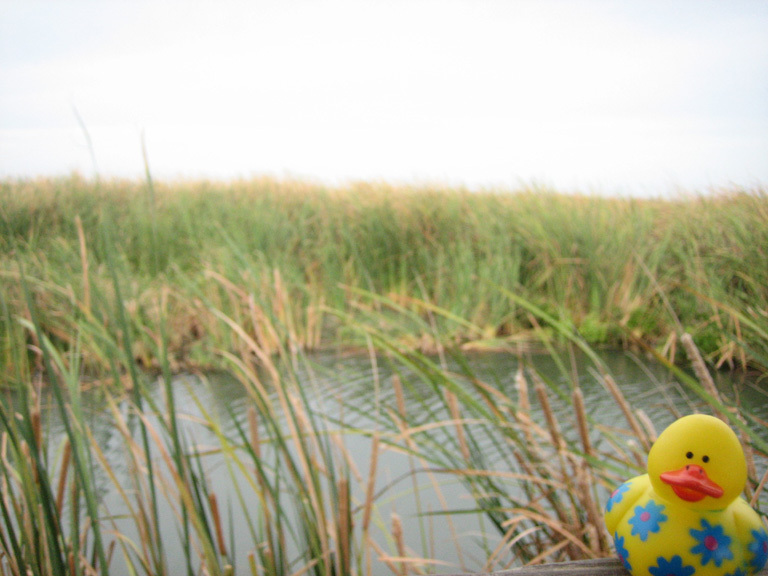 Here, he tells Daisy of the benefits of the stamp's $15 price tag and its benefits to the national wildlife refuge system. 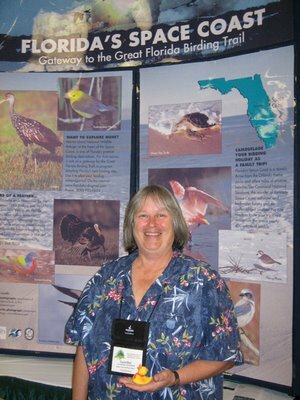 The next festival on my travel schedule: Space Coast Birding & Wildlife Festival in Titusville, Fla., in late January. Join me and Laurilee Thompson! 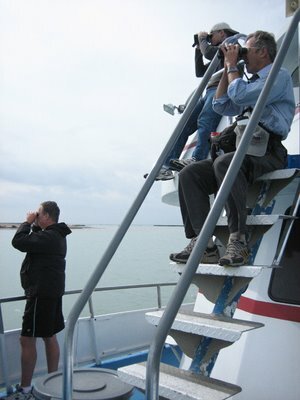 On the last day of the Rio Grande Valley Birding Festival, I set off for South Padre Island with four leaders--Paul Lehman, Jay Packer, Derek Muschalek and Mike Hannisian--and a small group of participants. The reduced group size felt like a delightful change from the previous field trips' full capacity. When the bus pulled into the northern parking lot behind the convention center, we saw American White Pelican, Brown Pelican (I'd never seen how much smaller they are in comparison to AWPE), American Oystercatcher (love that carrot bill! ), Short-billed Dowitcher, Great Blue Heron, Marbled Godwit, Reddish Egret, western Willet, Killdeer, Royal Tern, Laughing Gull, Franklin's Gull, Northen Pintail, Greater Scaup, Belted Kingfisher (hovering like a tern before plunging toward a fish in the water!) and Northern Harrier with its white rump. 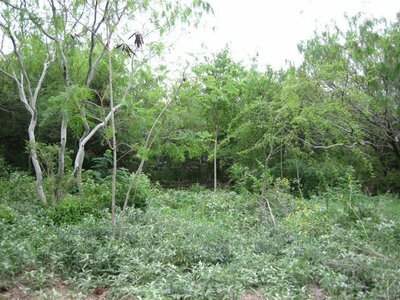 After walking to the southern side of the convention center, we encountered the thickets and water that typically draw migrants. 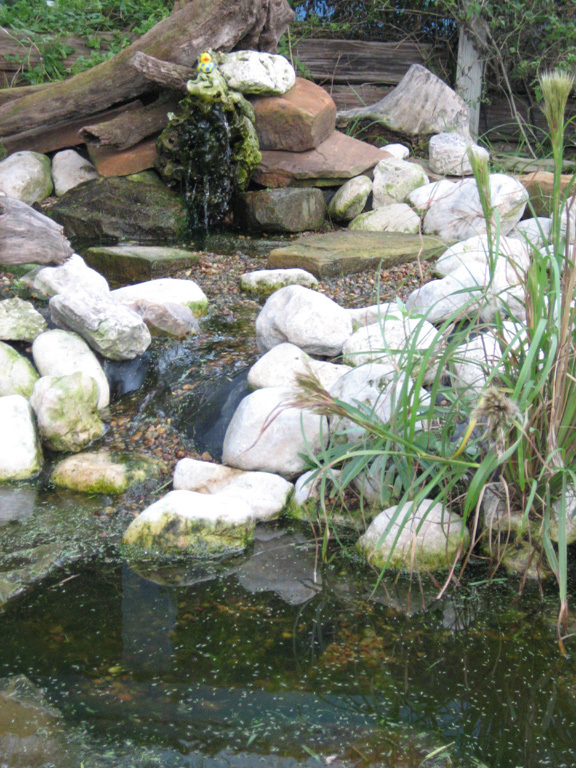 The grounds include three separate areas landscaped to attract birds along the southern and eastern edges of the facility. In these areas, we saw Northern Parula, Gray Catbird, Northern Mockingbird, Golden-crowned Kinglet, Couch's Kingbird and House Wren. It was a slow day for migrants and a bit of a disappointment for those who'd anticipate more activity, given the previous day's cold front. Jay Packer (below on the right, with Paul Lehman) and I watched a kingbird eat an entire monarch butterfly. Some birds remove the wings by beating the insect against a branch, then eat just the body. This bird ate the entire butterfly, wings and all. Jay mentioned that he'd seen photos in a biology textbook of a bird that ate a monarch and promptly threw up, so he and I waited to see if the kingbird experienced the butterfly in reverse. It apparently didn't. While strolling on the boardwalk, I got to see Tricolored Heron, Common Moorhen, Redhead, Cooper's Hawk, Red-winged Blackbird, Forster's Tern, Common Tern, Great Egret and Snowy Egret. Amid and above the vegetation, we saw Pine Warbler, female Indigo Bunting, Yellow-rumped Warbler and... four Cedar Waxwings. The latter elicited delighted reactions from some leaders and participants. Any guesses on the names of these flowers? UPDATE: Thank you to the fine fellow who said the top flower is a silverleaf nightshade while the bottom flower is a blue dayflower. Jeff Gordon presented "The 10 Greatest Birds of the Last 30 Years" with good visuals and some humor. I definitely appreciated the humor and found Jeff's talk educational, too. I'd like to hear what you think of Jeff's list. If you disagree with a choice, then offer an alternative and provide the reason why it should be one of the 10 greatest birds. 1. March 1975: Ross's Gull in Newburyport, Mass. The bird's presence garnered national media attention, such as Time(!). 2. December 1975: Crane Hawk at Santa Ana National Wildlife Refuge in Texas. 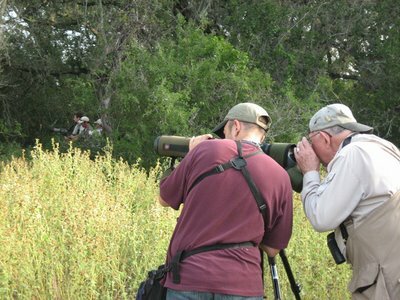 Jeff claimed that the influx of visitors who wanted to see the hawk proved that it's easy to visit south Texas and led to more birders visiting the valley more often. 3. July 1978: Spoon-billed Sandpiper in Vancouver, British Columbia, Canada. 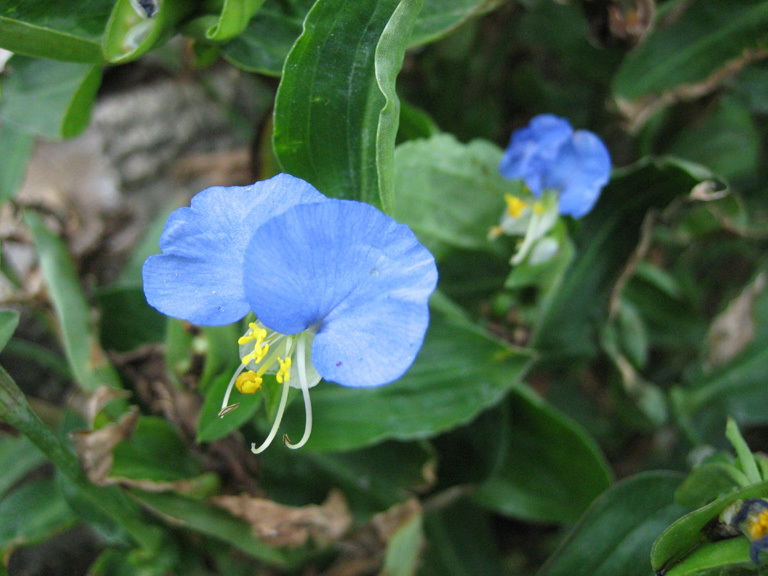 Jeff cited this species as the impetus for the purchase of many plane tickets to China. 4. November 1991: Red-tailed Hawk in New York City. Pale Male's life in and around Central Park sparked a lot of interest that continues this decade. 5. November 1997: Brown-chested Martin in Cape May, N.J. The bird's arrival created new appreciation for weather patterns during fall migration, Jeff said. 6. December 1978: Smith's Longspur in Pt. Reyes, Calif. The bird actually was a Sky Lark, but some of the state's best birders initially identified it as a Smith's Longspur. Jeff said the episode underlined the important difference between what you expect to see and what you don't expect to observe. 7. June 1985: Swallow-tailed Gull in Monterey, Calif. 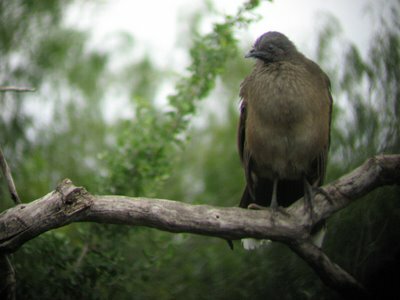 This bird prompted discussions about introduced species and whether vagrant species arrive on their power or with human assistance, Jeff said. 8. October 1996: Pygmy Nuthatch in Moorhead, Minn. A birder used a tape to lure the nuthatch across the Red River, the boundary between Minnesota and North Dakota, and to create the first PYNU record in Minn-neh-SO-tah. 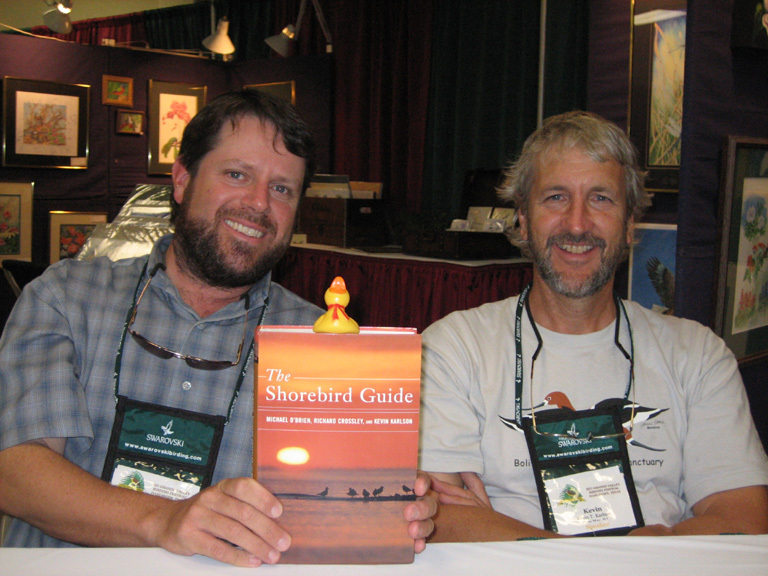 The incident inspired hearty disagreement within the state records committee (see pages 29 and 30) and among birders about ethics. 9. December 1995: Gray-crowned Yellowthroat in San Ygnacio, Texas. Efforts to positively identify the bird involved the possible first use of DNA testing and revealed some GCYE genes as well as others, making the bird a likely hybird. Jeff said the I.D. exercise, in which he participated, proved to be educational for all. 10. February 2004: Ivory-billed Woodpecker in Brinkley, Ark. Jeff said the contested sightings lead to the question "Do we have the redemption of American wilderness or another Bigfoot?" He said the continuing debate could be viewed as "the ornithological OJ trial." Cool breezes greeted us on the fourth day of the Rio Grande Valley Birding Festival. Our bus set out east in the pre-dawn dark--with Mike Hannisian and Gary Waggerman in the front rows--and took us to a pontoon boat for a cruise on the Rio Grande, near Mission. We quickly boarded the boat, a very nice craft with windows, padded vinyl seats and a bathroom. The month-old boat provided a much cushier ride than the previous one. 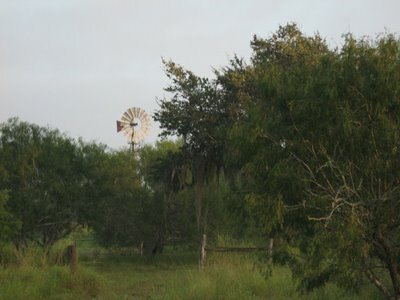 As we began motoring west on the water, with America to our north and Mexico to our south, the breeze became a wind. That didn't dampen our spirits as we spotted Osprey, Great Kiskadee, Green Kingfisher, Spotted Sandpiper, Black Phoebe, Tricolored Heron, Ringed Kingfisher, American Coot, Cattle Egret, Mourning Dove, Great Blue Heron, Common Moorhen, Vermilion Flycatcher, Turkey Vulture and Black Vulture in the same trees, Anhinga and Couch's Kingbird. 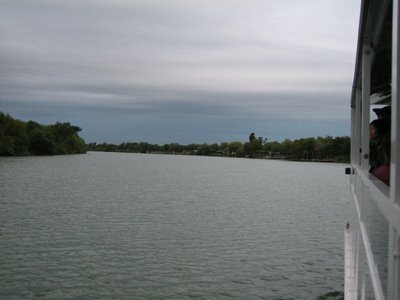 During our leisurely cruise, the wind picked up its pace, the sky became darker, and rain began to fall. 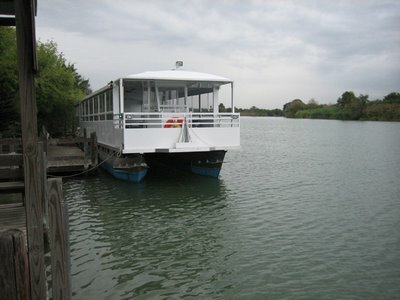 Most of the boat's windows came down, and we remained dry while looking at the shore. The avian highlight for me was seeing a Red-shouldered Hawk as it apparently tried to catch a Common Moorhen along the Mexican shore, across from Anzalduas County Park. I didn't see the raptor land on the moorhen but saw it standing in the water before flying into the nearby trees and showing its beautiful white-and-black-striped tail. A few second later, a moorhen wobbled away from that spot. I also enjoyed seeing one of our trip leaders, Jane Kittleman, talking with the youngest member of the group, the niece of a Harlingen Chamber of Commerce representative. The youngster dutifully wrote down the name of the birds as we saw them. After disembarking and warming up with coffee, tea and hot chocolate, we strolled through the RV park next door and observed Ruby-crowned Kinglet, Golden-fronted Woodpecker and Green Jay. I never will tire of those. Retracing our route, we stopped on a dirt road that leads over a levee. The leaders located the resident Burrowing Owl, and most of us made the short walk to peer at the little raptor for just a couple minutes. Can you spy it? as well as a fair number of Plain Chachalacas. This one had perched in a tree next to the parking lot, greeting us as we disembarked from the bus. Such funky birds! During the too-short visit, I also enjoyed seeing Curve-billed Thrasher, Great Kiskadee, Buff-bellied Hummingbird and Inca Dove while walking the grounds with Blake, the resident naturalist. It's such a great spot, and I hope to amble more thoroughly next spring. Unlike my roommate in Texas, I didn't hold a Green Jay in my hand. Sigh. 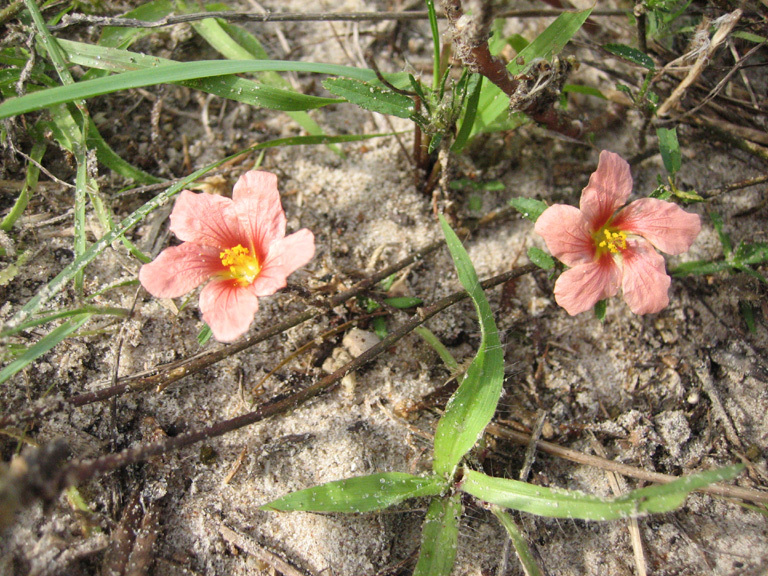 I did see enough of the colorful critters to temporarily satisfy my jones for their brilliant hues, the first sightings being at Laguna Atascosa. 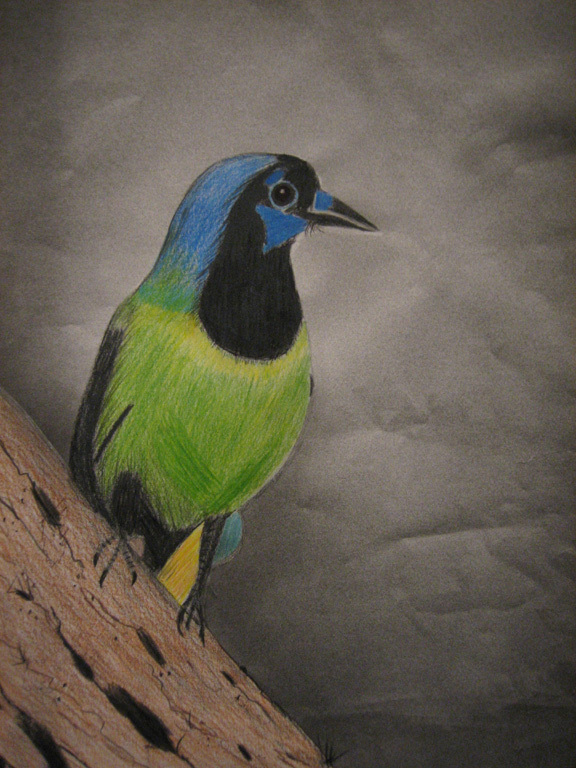 I also spied artistic depictions of the jays in a couple spots. The auditorium, for instance, includes a space for children called Kiskadee Korner. Kudos to the festival organizers for not overlooking youngsters, who represent the future of birding! 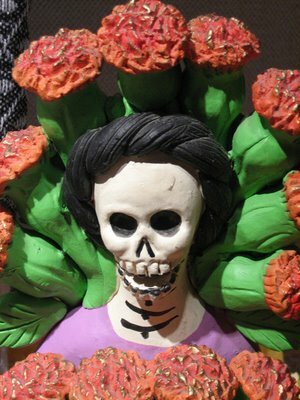 while a student in the 9-10th grade division at Rio Grande Valley Arts Studio in Harlingen created this piece. 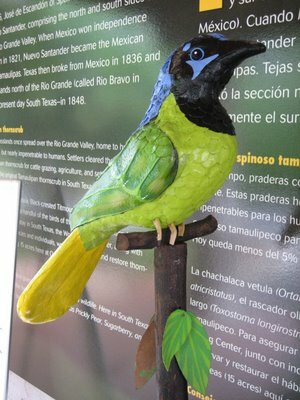 At Quinta Mazatlan, a World Birding Center in McAllen, I found this art sitting on the table that offered pan dulce to festival participants. Mmmm. Pretty amazing colors, eh? And pretty amazing that Valley residents consider Green Jays "trash birds"! 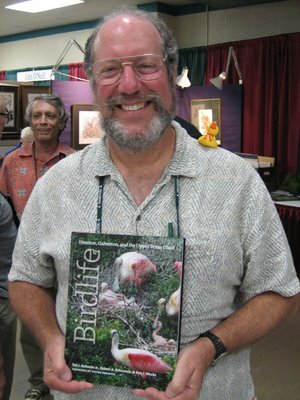 One of the neat aspects of birding festivals is the possibility of meeting the birders who wrote the books lining your shelves, sitting on your bedside stand, decorating your breakfast table. The Rio Grande Valley Birding Festival is no different, and the authors also might serve as field trip leaders. On Friday afternoon, I had the chance to gab briefly with some authors in the Birder's Bazaar before they slipped off for dinner. 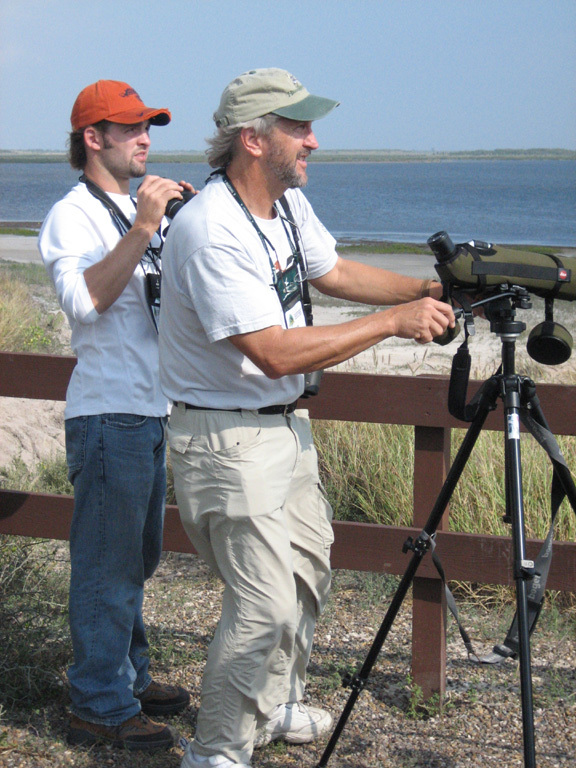 ... as did Bob Behrstock, one-third of the team that created Birdlife of Houston, Galveston, and the Upper Texas Coast. 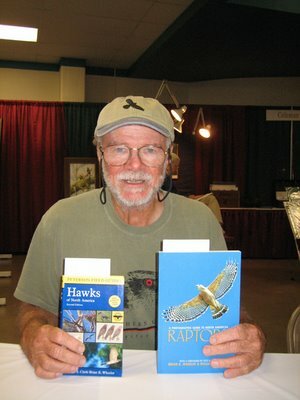 Bill Clark proudly displayed two of his books, A Field Guide to Hawks of North America and A Photographic Guide to North American Raptors. Before you attend a festival, check the schedule for a book-signing event. Even if you don't see one, consider packing a book or two in your bags. You might meet an author during a field trip, after a seminar/workshop or while investigating the vendors' booths. On the third day of the Rio Grande Valley Birding Festival, the bus for the Laguna Atascosa National Wildlife Refuge field trip began driving east at 6 a.m. In the front rows sat four leaders: Kevin Karlson, Gary Waggerman, Parker Backstrom and Cameron Cox. On the way there, I got to see a Northern Cardinal bathing in a stream, and Cameron found a Wilson's Warbler -- very dapper with his black cap. At the blind, the Great-tailed Grackles tended to dominate the feeders, but after they left, more Green Jays moved toward the seed. 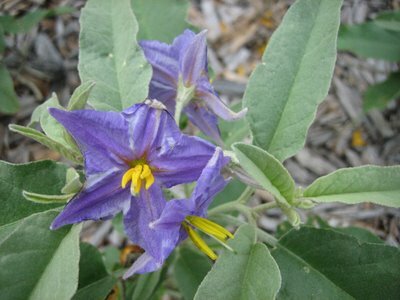 Then we walked along the various winding paths around the visitor center, looking into the native plants for hidden treasures. We saw many butterflies, large and small, and this lacy leaf really caught my attention. The bus took us to Osprey Overlook, which gave us views of thousands of waterfowl. I really enjoyed seeing a Roseate Spoonbill, which flew by and then started feeding with its side-to-side motion. We also watched Snowy Egret, Great Egret, Long-billed Curlew, Northern Pintail, American Coot, Ruddy Duck, Lincoln's Sparrow, Northern Harrier and Sandhill Crane. Along the loop, the bus stopped so that we could look for raptors, which we found overhead and in the distance. I really enjoyed the two White-tailed Hawks as well as Sandhill Cranes, White-tailed Kite, Cooper's Hawk and White Ibis. At Laguna Madre, the body of water between the mainland and Padre Island, we spied Great Blue Heron, Ring-billed Gull, Curve-billed Thrasher, Black-bellied Plover, western Willet, Long-billed Curlew, Osprey as it fished, Reddish Egret, Great Egret, Ruddy Turnstone, Double-crested Cormorant, Laughing Gull, White-tailed Kite as it fished and a trio of terns: Forster's, Royal and Caspian. I can't remember which of those birds Kevin was going to scope, but I remember the fellow in the orange hat, Chris, staying pretty close to the trip leaders during the morning. He lives in Pennsylvania and this was his first visit to south Texas, so it was fun to see his enthusiasm and curiosity about the birds and sites. And here's a view of Laguna Madre toward South Padre Island. 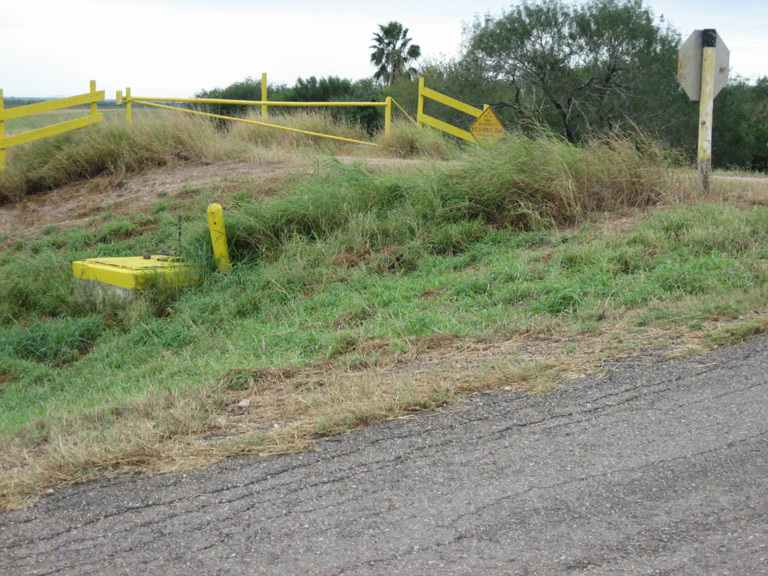 After a quick return to the auditorium in Harlingen, Kevin lead some of us toward the spot in the park where he's spied Tropical Kingbirds, distinct from Couch's Kingbird by virtue of their call. We easily spied a Vermilion Flycatcher (I might try to match his hair color someday) and saw a TRKI but couldn't get good long views. There's always tomorrow! Today's field trip to King Ranch included some revelations. I had no idea that duct tape comes in multiple colors! Did everyone but me know that you can buy red, green and brown duct tape, not just silver? When we disembarked from the bus, the field trip leaders--Tom Langschied, Brian Williams, Gavin Bieber and Jay Packer--dispensed tape to cover shoelaces and wrap around ankles to deter sand burrs and chiggers, respectively. Yep, we looked like a bunch of dorks. Nope, you don't get to see a photo of our dorkness. We spend a good amount of time looking for and at a Ferruginous Pygmy-Owl. 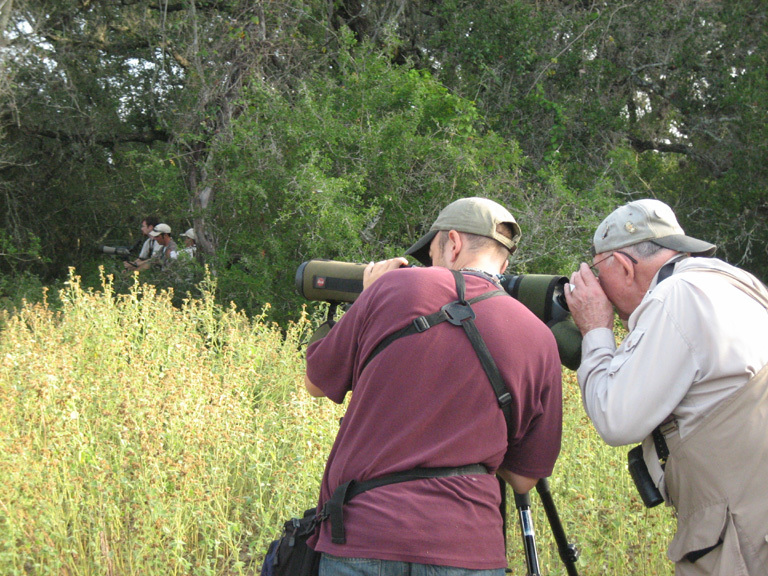 Four spotting scopes at two locations allowed everyone to eventually peek at the well-hidden little bird. After everyone had seen the owl, I enjoyed a slightly longer view. The owl turned its head a couple times, and its blazing yellow eyes surprised me with their intensity. Very cool bird. The other avian highlight, for me, was the White-tailed Hawk. We saw it perched a fair distance away and looked at it through the spotting scopes. Then it began flying toward us and soaring with Turkey Vultures. What a beautiful raptor! 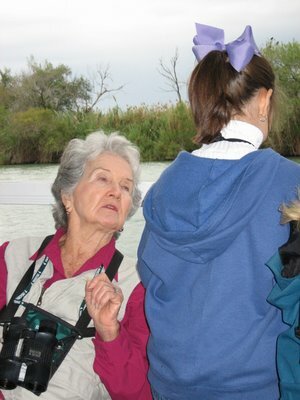 The Rio Grande Valley Birding Festival began today, with field trips throughout the valley. Field trip leaders, speakers and attendees gathered at the Harlingen Arts & Heritage Museum this evening for hors d'oeuvres and beverages. While we gabbed and gobbled for a couple hours, we also could visit an exhibit of Day of the Dead altars. The colorful displays were very cool to examine. Nose to the grindstone. That would be an apt description of yours truly, who needs to finish the January/February 2007 today before getting ready for the Rio Grande Valley Birding Festival. Life is busy and good! Kudos to Jody Hildreth for winning this month's fiction contest! He now gets to choose two recently published bird books from the WildBird bookshelves. If you'd like to earn that opportunity, then write an original 500-word short story about birds, birding or birders that includes a setting, a character or characters, a conflict and a resolution. Also, the birds cannot be anthropomorphized. Many thanks to this edition's participants! I hope that you'll submit stories for the December edition. The deadline is Nov. 29. Now, for your consideration: "Cowbird Conundrum" by Jody Hildreth. Walking in a springtime forest opens your eyes to new experiences, especially when taking a 5-year-old. Aubrey was a child that loved to investigate and wasn’t afraid to pick up a six-legged creature for closer examination. It was only a five minute hike to our favorite resting spot: a large boulder which was surprisingly comfortable to lounge on. I immediately rested when I came to the ancient chair, but Aubrey was full of energy. She dug in the leaves, went face first into a spider web without a shriek, and then climbed our rock as though it were Mount Everest. "Daddy, look!" she fiercely whispered. She was pointing to a nest only twenty feet away. We saw no bird, so I suggested we sit quietly and wait. 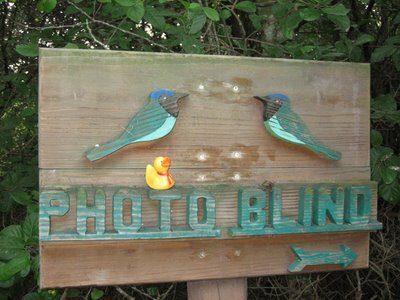 This would put my little birder to the test. After a long silence and some anxious wiggles, something landed near the nest. The branch it was built on bounced ever so slightly. "Shhhh," I replied. "Know what kind it is?" I told her it was a Red-eyed Vireo and that when we got back to the house, we could look it up in her field guide and listen to it on the computer. That wasn’t enough, however, for this inquisitive girl. She knew that a nest had eggs, and she wanted to see them. I awkwardly put her up on my shoulders, which also scared away the bird. Standing under the nest, I told her to pull the branch down just enough to look inside. "Daddy, there’s four eggs," she chirped. 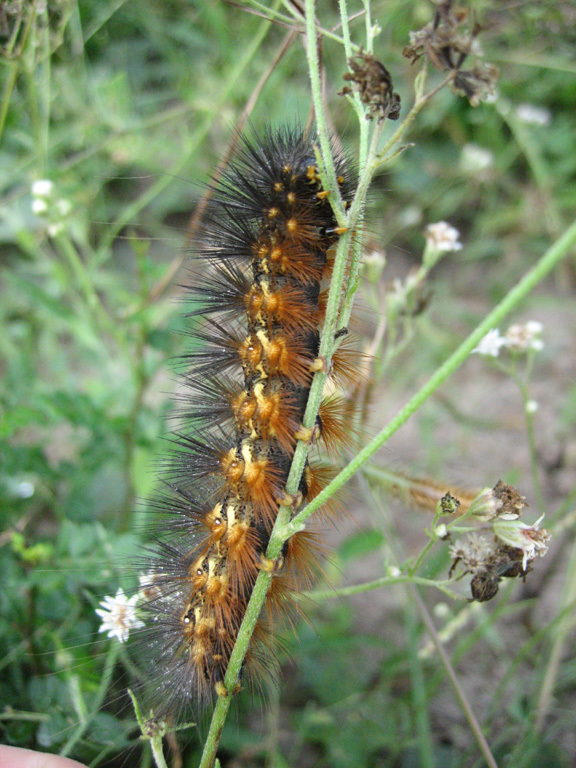 "They’re pokey-dotted," came the reply. "And one is bigger." Oh no. A cowbird egg. What to do. I told her that cowbirds are terrible birds that are bigger than the parents that raise them. I explained that it’s not right for the vireo to raise such an ugly bird and told her to take the egg out of the nest. She slid off my back with the egg held safely in her cupped hands. "Can we hatch it?" she asked. I explained that we couldn’t for several reasons. "But what’s gonna happen to the birdy inside?" she asked. I told her it just wouldn’t grow. There was a long silence as Aubrey stared at that egg, and I watched it roll around in her tiny hands. Then she looked up at me and said, "But Daddy, I look different from you. Shouldn’t someone be this bird’s mommy?" I couldn’t speak, but I did nod my head quickly. I held the egg as she hopped on my back, and together we got the egg back in place. Yes, my adoptive daughter taught me a valuable lesson that day. That cowbird would grow because it had parents that would care for it, even if it did look different. I know, because together, we watched that baby cowbird every morning until it left the nest. 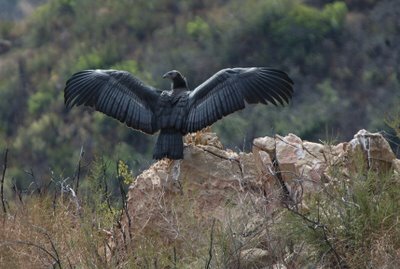 Did you hear about the Southern California tyke who took a digital picture of a condor in his neighborhood, Topanga Canyon? Pretty cool. Please send your 500-word fictional tale involving birds, birding or birders before 5 p.m. PST! For your efforts, you could win two recently published books. Look over to the right side of this page to see examples of the previous month's prizes. Tempted?